On June 7, 2018, Dhanush reportedly completed the final round of user exploitation trials with a full battery of six guns firing 300 rounds at Pokhran ranges. No major issues were reported during firing and as per the OFB, accuracy and consistency of the guns were exceptional, and the guns are ready for induction into the Army. The gun has been developed by Gun Carriage Factory (GCF), Jabalpur comes under the OFB, with latter under the Department of Defence Production (DoPD) of MoD. Incidentally, the 114-year old GCF is one of the 41 defence manufacturing unit under the OFB. All this is excellent news. The bad part is the headlines "It took 4,000 rounds and 5 Years for Dhanush to get Yes from Indian Army". 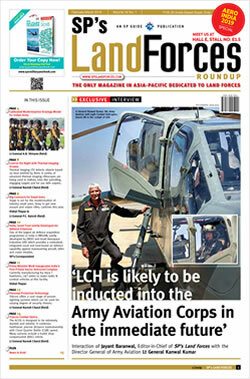 Just these headlines would make readers liable to curse the Army, accusing it only wants imported weapons and equipment. Who has the time to read the fine print, leave aside dig into reasons why so much ammunition had to be fired and why the trials took that long. Some even questioned why Army tries foreign equipment, without knowing MoD floats the tenders and it is the MoD that takes decisions for procurement, with military only making recommendations. But that is the usual norm of propaganda by the Ordnance Factory Board (OFB), ditto for DRDO, both in conjunction MoD. In 2014, prototype of Dhanush was made ready for user trial and evaluation. But trials were marred by incidents of misfires. First, the shell burst within the barrel. Subsequent rounds of trials were held successfully but again during user exploitation in 2017 there were two incidents of muzzle hits, which led to a further set back. The incidents were reported to be due to ammunition problems and not the gun though doubts naturally rose about metallurgy of the barrels. However, the ammunition too is produced under aegis of the OFB, and there have been hosts of complaints of faulty ammunition over the years with different types of weapons. After internal trials at Balasore range in Odisha during March 2018 by the GCF, the guns were again presented to the Army in first week June. The trial firing continued for five days and with no incident reported, the OFB hopes that the army would finally clear the weapon system. According to news reports, there have been doubts related to the recoil system in the gun but these have been brushed aside as inconsequential by GCF on the plea that the recoil of the old 155x39 calibre guns have been used. However, sources say the same system is used in other advanced guns of higher calibre as well and will not hamper the functioning of the guns. GCF Senior GM S K Singh himself admitted that reliability in the field of functioning was an area of concern which has been addressed in last one year. Obviously, the trials were prolonged due to this reason. Dhanush has been developed on lines of the Bofors guns, the transfer of technology (ToT) came along the purchase of the guns, and OFB sat on the ToT for goof 30 years deflecting blame on the Army that it never asked for indigenous version. This, despite the CAG pointing out many times that the governmental-industrial complex has been undertaking projects without reference to the Military (even the Prithvi missile) and many a times even without government sanction. If the ToT had been paid for, which increased the overall cost, there was no reason for OFB to sit on it. On the contrary, Army was desperately looking for 155mm howitzers for more than three decades. An Israeli company, Soltam, was upgrading the Russian-made 130mm gun to 155mm at GCF with MoD approval. But the project, after the upgraded gun's trial, ran into issues of alleged kickbacks – why are GCF-DoDP-MoD silent on this? Obviously, the ToT of Bofors was also buried by the OFB with MoD nexus. Getting back to Dhanush, its indigenous content is around 81 per cent although efforts are on to increase the level to 90 per cent by 2019. Hopefully, GCF would be able to achieve 100 per cent indigenous content eventually. As against the 27 km maximum range of Bofors, Dhanush has a maximum range of 39 km. It also has electronic systems which the Bofors did not have at the time of their procurement. Being indigenous, it also has all the support systems, negating the need to keep looking abroad for spares and assemblies. The Army had placed an order of 18 guns for trials, of which 12 were provided. 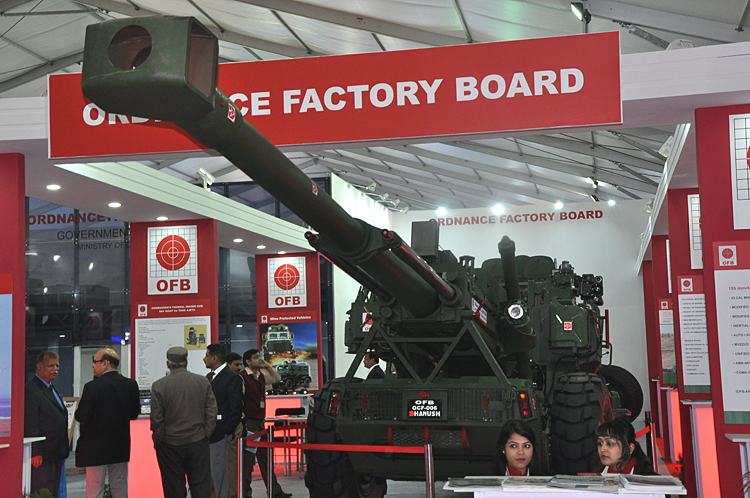 The Army needs quantity 400 of Dhanush guns, so the question now is what is the annual rate of delivery that GCF has and can the production lines be increased to enhance the delivery schedule? Often in the euphoria of a good development, the follow up gets relegated. For example in March 2017, successful trials of the 'Swati' indigenous gun locating radar was accompanied with news headline that Pakistan will now have to think twice before ceasefire violations. Not that both sides do not have gun/mortar locating equipment. But all said and done, what is the production schedule of Swati; when and in what quantity can they be deployed in J&K where Pakistani is violating the ceasefire incessantly? There is also no reason to compare Dhanush with K9 VAJRA-T 155 mm/52 calibre tracked self-propelled gun system with 40 km range developed by L&T under the 'Make in India' initiative. It has a 1,000 horsepower (750 kW) engine with potential for growth; mobility range of 75 km and; CBRN protection. Not only is the induction of K9 VAJRA-T commencing this month, L&T is ready to deliver 25 of these in the designated timeframe. Both Dhanush and K9 VAJRA-T are needed in the Indian Artillery. India needs to pursue indigenous development, as also exploit ToT under make in India using strategic partnership model as joint ventures.